All you have to do is to successfully clear Manticore and/or Apocalypse Nest with an ‘A’ rank score and above and they’ll be rewarding you with a bonus chest reward by 11am the next day. This bonus chest will be sent to your mailbox. 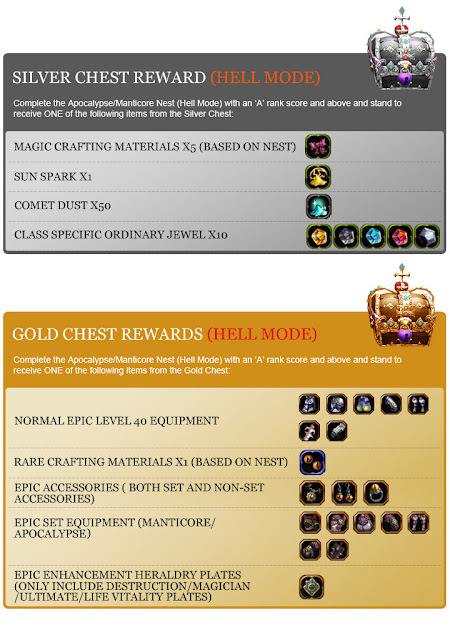 This is not a one-time only reward, so try to hit as many ‘A’ rank scores and above for the Manticore and/or Apocalypse Nests for more bonus chests! 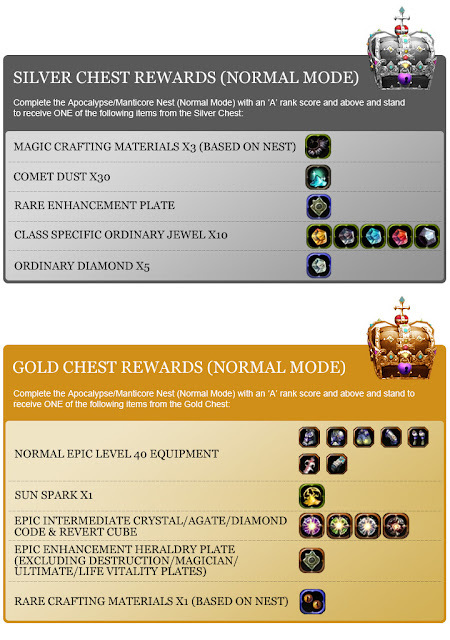 They have both Silver and Gold bonus chests to be given away, and the colour you receive will be at random. - Higher rank scores give you a better chance of receiving a Gold Chest reward. - The more difficult the mode, the better the reward!